I've been very busy this past month, but it certainly hasn't been blogging!! Sometimes life gets so busy, there's no time to write about it... but we should record these fleeting moments, shouldn't we? My DD was home for five weeks before heading back to NYC for a summer job. Since her summer was short this year, we decided to take a vacation. A REAL ONE, where you go somewhere!! Can you tell where we went? Yes, we were somewhere with a beach, beautiful teal water, where thunderstorms roll up really quickly in the afternoon. One day, we were even forced to head for the shelter of a local strip mall. 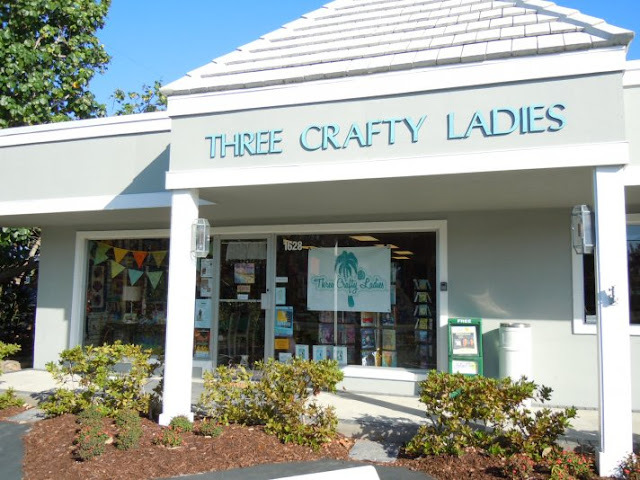 Some of you will recognize this quilt shop in lovely Sanibel Island. They had a great selection of beach themed fabric, quilt kits designed by local artists, and cross stitch and art supplies. I take my responsibility to support brick 'n mortar retail very seriously, so I did this. Three kits from Three Sisters. Sandpipers, a pelican and manatees. It's not a UFO if you haven't started it yet. 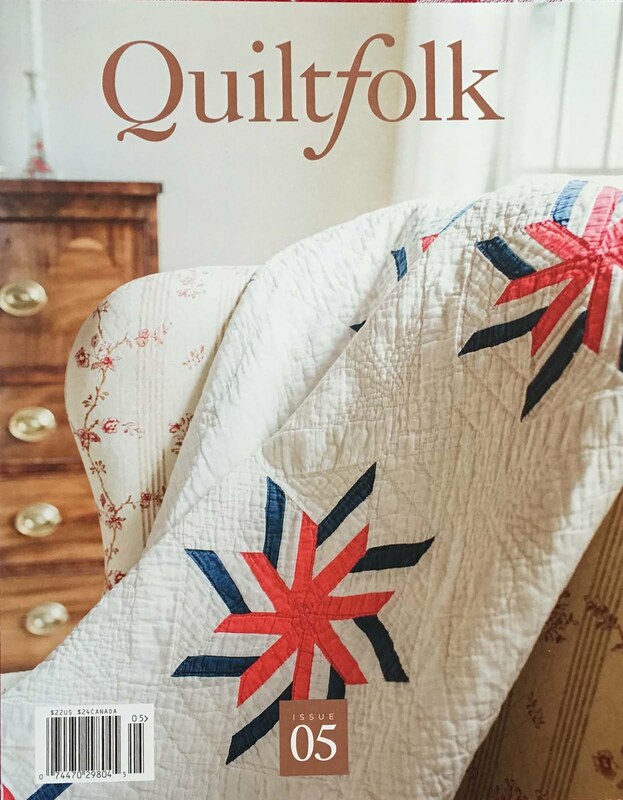 we're really not that into Disney...anyone who thinks the Magic Kingdom is the happiest place on earth clearly hasn't visited Keepsake Quilting. Their hotels are lovely, though, everything is pristine. We stayed at Port Orleans and took this cute little boat over to the Disney Springs shopping area for dinner each night. It was windy, so this balloon was grounded most of the time, but finally on our last night were able to get a ride. There were little tiny fireworks in the distance at Epcot. We went to Universal Studios. I LOVED Harry Potter World, even though I have never read a book or seen one movie. I think I may do that this summer now. It was like being on a movie set, and watching grown adults waving wizard wands about was very, very funny. so this was a special moment! I was pretty proud of myself for going on the Transformers ride, but really this type of attraction is more to my liking. ... because that's where I was able to finish this! So I am back, feeling very rested, and what do you know, the Cloud Club block of the Month was out on time! Yes, my flower baskets are in one piece! It's amazing how a little time off can change your whole outlook. 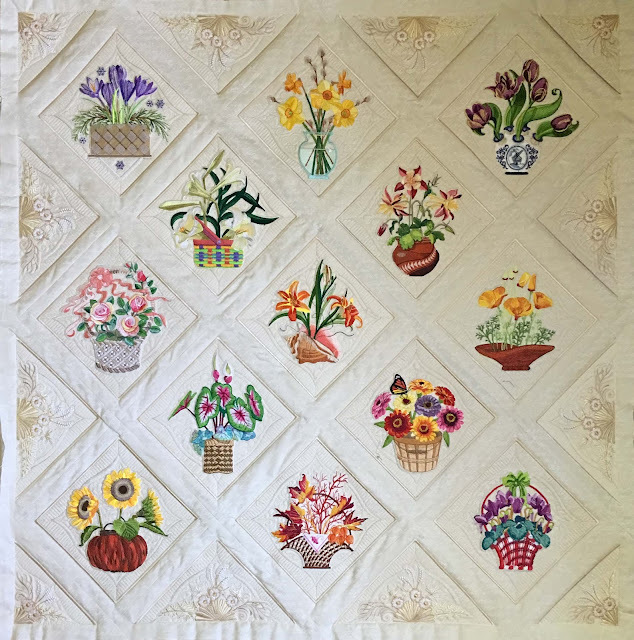 I feel a wonderful, creative summer coming on and I hope you'll join me!